In case you didn't know yet, I am a writer. Like, that's my job. I've been writing professionally for a decade now and, to be perfectly honest, it's the only thing that I am really good at. I think one of the reasons behind this is because I have kept a journal since I was five years old. Unfortunately, I am very picky when it comes to the tools that I write with and if I don't have a good pen around, my journal pretty much just rots in a corner. That's why I am so happy I discovered Parker's latest writing system last week at Shangri-La Mall. This innovate writing system has definitely revolutionized the way I feel about writing and has inspired me to write by hand much more from now on. The most beautiful and most fashionable pen I have ever seen in my life. Another elegant design that I instantly fell in love with. Something manlier for the men. Also, it feels effortlessly smooth when you write, as if the pen is adjusting to your writing style on its own. 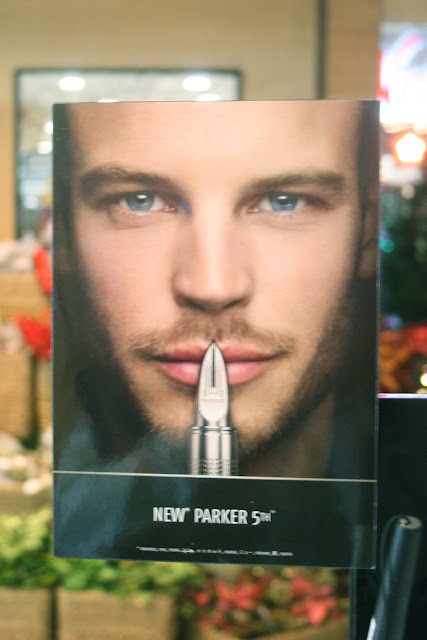 That might have sounded like a ton of drama for something like a pen, but if you are as passionate about writing or as picky about your writing tools as I am, then you will understand why Parker is worth the money and the hype and why Parker pens are the only Parkers that I will ever care about, Peter aside. omg.. you are a writer!!! that's so cool!!! i love parkers pens! i have been having them since very long time! They aer the best pens! the page so I can return here from you that you have done a fantastic job..